A new study has indicated that junior doctors feel ill-prepared to offer Australian and New Zealand cancer patients with full information about all treatment options – particularly the potentially life-saving benefits of radiation therapy. The study showed that almost all of the Australian and New Zealand medical faculties who responded offer minimal radiation therapy teaching in their curriculum, while more than 80 per cent of students do not receive dedicated clinical placements for radiation oncology. It also showed more than 90 per cent of medical faculties did not have a formal curriculum in radiation oncology, while the time dedicated to radiation oncology teaching was often less than five days in a medical course lasting four-five years. The study supports the findings from two other recent studies evaluating the knowledge of radiation therapy among junior doctors. One study, conducted by first year radiation oncology trainee Dr Revadhi Chelvarajah, found that 75 per cent of junior doctors felt they were unable to confidently discuss radiation therapy with patients. The results of this study will also be presented at the RANZCR ASM this week. The other, conducted by final year medical student Ben Bravery, discovered that 90 per cent of final year medical students surveyed wanted more radiation oncology teaching. 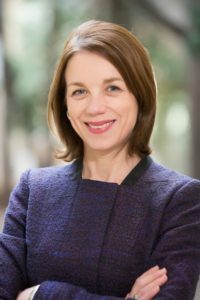 “While there’s great work being done in research and treatment, cancer will unfortunately continue to severely impact health resources in Australia and New Zealand,” A/Prof Sandra Turner, study co-author, a radiation oncologist at Sydney’s Westmead Hospital and Clinical Lead of the Targeting Cancer campaign said. Targeting Cancer Clinical Lead A/Prof Sandra Turner said a lack of radiation therapy knowledge among junior doctors had repercussions for cancer patients. “For many cancer patients, radiation therapy could be their preferred and/or most effective treatment option. Most patients having radiation therapy have this delivered in the outpatient setting over a few minutes a day, meaning patients can continue their daily activities, often including working during treatment. “All cancer patients for whom radiation therapy might be an option should see a radiation oncologist to understand the pros and cons. Only then can they make fully informed decisions about treatment. All doctors having knowledge of the role of radiation therapy is vital in ensuring this occurs. “These studies support the need for greater advocacy efforts and involvement of radiation oncologists in curriculum development to improve radiation oncology education in medical schools and for all junior doctors. For more information about the benefits of radiation therapy and how it can treat cancer, click here.